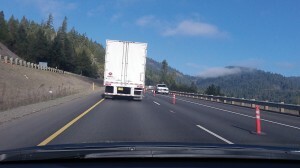 Trucks choke northbound I-5 north of Eugene. A lane closure for highway work near Smith Hill Summit gives you a chance to slow down and enjoy the blue sky. They say that every product we use was brought by a truck. 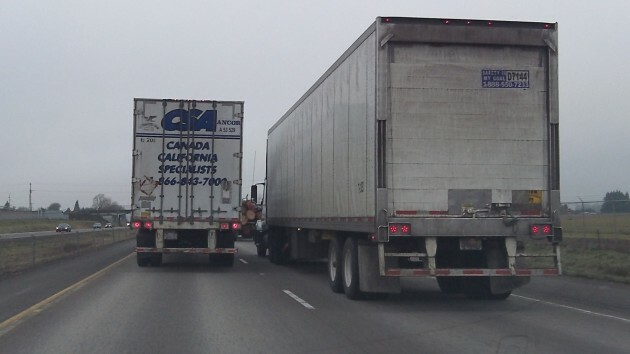 So it’s no surprise that commercial trucks make up a big share of the vehicles on the interstates. I was thinking of this driving up I-5 from Central Point to Albany the other day, a distance of a little more than 200 miles. I didn’t count the trucks, but there seemed to be stretches, on that Thursday afternoon, when they outnumbered other vehicles on the road. 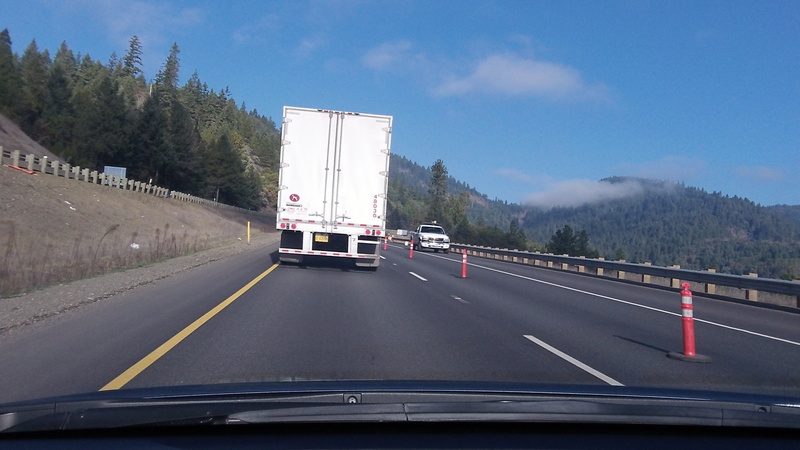 The traffic on this stretch is usually light, so the only time other drivers have to slow down for a little while is when one trucker passes another at a speed only slightly faster than the one on the right. A few days ago, though, I heard an ODOT official mention the projections for continued population growth in Western Oregon, and especially in the Willamette Valley. If the projections are right and assuming that most freight will continue to move by truck, it’s reasonable to expect the number of trucks to keep growing as well. Idealists like to think that some of all that cargo might be shifted to rail, but when you look at the rail system and where the population lives, that possibility looks more and more remote.